The Shanghai airport may have lots of redeeming values. I cannot say I experienced them. In many ways, it reminds me of all of the things I dislike about CDG, minus the angry French. Landing in Shanghai, I simply needed to transfer to an outbound Vietnam Airlines flight. However, I was informed that it was impossible to make the connection directly – instead, I needed to clear Chinese immigration, then go to the ticket counter, get a ticket, clear customs and security, then depart. This shouldn’t have been a big deal – Shanghai offers short term on-the-spot transfer visas. However, nobody seemed to quite know how they worked. The confusion was compounded by the long-expired Chinese visa glued into my passport. The result was a series of somewhat tense and confusing conversations with various security personnel, trying to determine where I’d come from and how I’d ended up there. This process was repeated at the Vietnam Airlines ticket counter, and again at the departure security. In the end, all was well, and it wasn’t particularly stressful. Good reminder of the potential chaos caused by a mix of bureaucracy and language barriers. Lots of big smiles, confused shrugs and patience proved all that was necessary. The remainder of my time in Shanghai was similar to my typical experiences in CDG – limited and disappointing food, strange terminal layouts, and an overabundance of duty free shopping. Now, on a Vietnam Airlines flight to Hanoi. 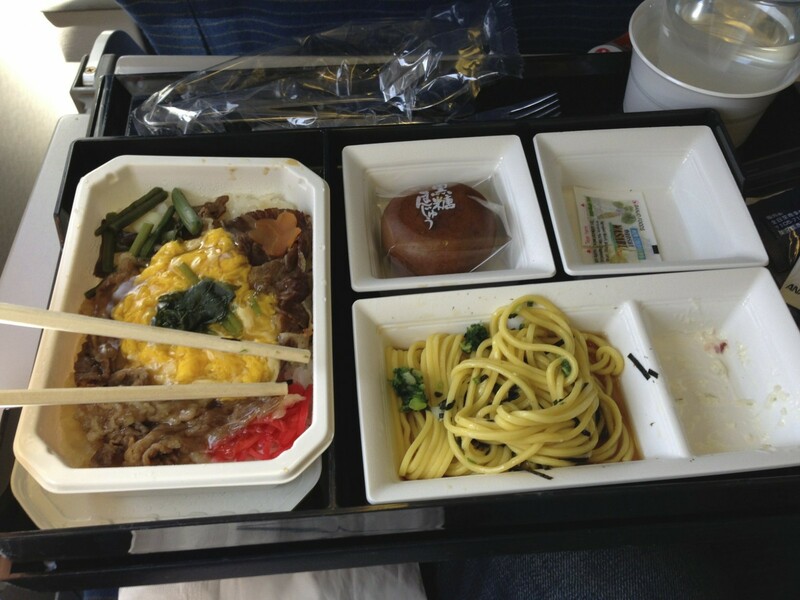 Both flights today (earlier flight was ANA) really delivered in the meal department – I suspect I’m just a sucker for anything slathered in wasabi though. I’m curious to see if the pre-booking I’ve done in Hanoi actually pays off – in theory, there will be a driver waiting at the airport carrying a placard with my name, all set to take me to my hotel. In reality, who knows!